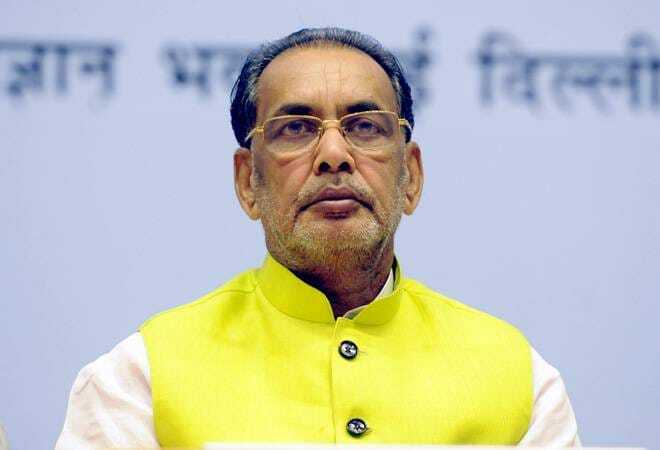 Narendra Modi government has substantially increased allocation of resources for the agriculture sector as compared to the previous regime and is well on its way to achieve its targets in a mission mode, says Union Agriculture Minister Radha Mohan Singh. In a response to Business Today, Singh said greater emphasis is being given to agricultural education, research and extension activities and extension of the facilities for irrigation, low-cost organic farming, crop insurance, national agricultural market, horticulture development and agro forestry remain focus areas. BT: The initiatives are good. But are we seeing its benefit on the ground? Has it improved agri-economy and increased farmers' income? Singh: The government has transformed the targets related to the implementation of the schemes for the farmers' welfare into mission mode. We have been successful in creating awareness among the farmers towards the new initiatives taken for the progress of agriculture sector. The government has made sustained and reinforced endeavours for transforming rural sector in a positive way. Prime Minister has set a target before the nation to double the farmers' income by the year 2022. The Ministry of Agriculture & Farmers Welfare is consistently working towards this mission. BT: How has Prices Stabilization Scheme (PSS) benefited farmers? What measures government has taken in agricultural marketing to empower farmers? Singh: During 2016-17, we saw a bumper production of pulses. States like Maharashtra, Gujarat, Madhya Pradesh, Karnataka, etc., had all sent proposals to procure 'arhardaal' to provide support price to the farmers. We have procured 20.6 lakh tons of pulses and farmers have been the beneficiaries. The government has declared an appropriate and beneficial price related parameter for sugarcane and the minimum support along with 22 prominent crops like wheat and paddy. The procurement of pulses and oilseeds is carried out with Price Stabilization Fund on minimum support price after having obtained the proposal from the states. Food processing is also a focus area. Pradhan Mantri Kisan Sampada Yojana has been launched with the allocation of Rs.6,000 crores. Forward and backward linkage of agro-processing clusters under this scheme will benefit 20 lakh farmers, and create employment opportunities for 5.5 lakh people. Further, the government is laying emphasis on the improvement of agricultural marketing. The e-national agriculture market initiative has so far linked 466 markets. Further, a Model PMC Act 2017 has been circulated to all the states for improving marketing system in the agriculture sector. A Model Act for promoting contract farming is also being worked out. BT: Micro-irrigation has been given a lot of emphasis by this government. Can you give us an update? Singh: Our objective is more crop per drop. Pradhan Mantri Krishi Sinchai Yojana has been launched to solve the problems related to drought. The aim of this scheme is to provide water to every field. Nearly 99 medium and major irrigation schemes lying pending for years are being completed in a fast manner. The watershed development task is also being implemented expeditiously along with water harvesting and water management. Ponds are being constructed in the field of the farmers under MNREGA. Solar energy driven pumps are being provided to the farmers at subsidized rates. BT: How is Pradhan Mantri Fasal Bima Yojana helping the farmers? Singh: This is a security coverage for the farmers. The lowest premium rates have been laid down since ever for Kharif and Rabi crops, which is maximum 2 per cent and 1.5 per cent respectively. In it, the risk related to pre-sown period and harvesting period have been included along with standing crop. The loan sanction has been made equal to financial parameters by removing capping. Not only this, 25 per cent payment is being made instantly through online system for the claims of losses. For expeditious payment of the claims and crop loans to the farmers, new techniques like the drone and smartphone for harvesting have been utilized in a number of states. Provision has been made for depositing premium amount through new technical facilities like service centre and online since this Kharif season while keeping in view the facilitation to the farmers. Government has made a number of changes for providing relief in the eventuality of loss due to natural calamities. Now the government is providing relief on 33 per cent losses instead of 50 per cent. Apart from this, amount of relief has been increased by 50 per cent. BT: In which stage is the doubling of farmers' income plan? What have we done so far? Singh: The Mission for Integrated Development of Horticulture is playing an important role in making the farmers income as double. For this purpose, better plantation material, improved seeds and protected cultivation and high-density plantation, rejuvenation, precision, and farming like are being provided. While utilizing Jio informatics (CHAMAN), the horticulture assessment and management related coordinated programme has been launched with the estimated cost of Rs. 13.38 crore in Sept. 2014 which is to be completed by 2018. The aim of this programme is to develop and strengthen the methodology for forecasting the potential production in the area to be used for agricultural crops while utilizing remote sensing technology and sample survey methodology. Our government is also utilizing Integrated Farming System (IFS). IFS concentrates on the multi-cropping system, cycle cropping, inter-cropping, allied activities like horticulture, livestock, fisheries, and bee-keeping etc. along with allied crop practices. This not only enhances the production of the sustained livelihood of the farmers but also reduces the effect of drought, flood and other seasonal incidents. The farmers have also witnessed 40 per cent enhancement in their annual income through consolidated agriculture system. To fulfil the dream of our Prime Minister's dream into reality regarding doubling of the income of farmers' by 2022, Indian Council of Agricultural Research (ICAR) has constituted state-wise coordination committees. The main task of this committee is to prepare extensive strategic documents for making the income of the farmers double. During the last 3 years, ICAR has developed 571 new crop species giving better yield in adverse natural intolerant conditions. Apart from this, the council has developed 11 new bovine species along with better agriculture methods. 150 seed hubs have been established across the country for bringing about self-dependence in the field of pulses production that resulted in 22 million tons record production of pulses. The council has so far prepared contingency scheme for 623 districts for increasing tolerance for the crop in the condition of adverse natural calamities. They are continuously striving for keeping them updated. The farmers will be capable enough for saving their agricultural product even during adverse natural circumstance on account of receipt of advisory in time. White Revolution is boosting dairy sector in the country. We also launched E-Pashu Haat Portal in November 2016 to link farmers and breeders of indigenous breeds. During 2014-17, 23 per cent increase has been recorded in the income of dairy farmers as against 2011-14. In comparison to 2013-14, the milk production has increased by 18.81 per cent in the year 2016-17. Realizing the great potential of fisheries sector, Prime Minister has heralded Blue Revolution, a scheme with an outlay of Rs.3,000 crore with the aim to increase fish production by 50 per cent in the next three years which means the target is to produce 15 million tonnes by 2019-20. During 2014-17, fish production has increased by 20.1 per cent as compared to 2011-14, which is unprecedented.